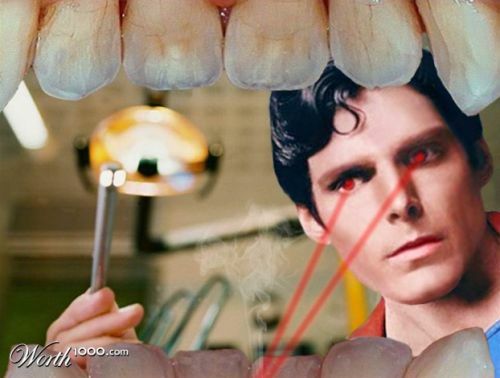 Of all the super heroes, Superman is definitely the most qualified to be a dentist. He can detect decay with his x-ray vision, use his strength to extract the most difficult of teeth, cauterize tissue with his heat vision, and complete root canals in less than a minute with his super-human speed. Best of all, he can fly away when patients get combative!